This 8,000 square–foot facility, located adjacent to Aerospace Discovery at the Florida Air Museum at SUN ‘n FUN, houses SUN ‘n FUN’s year–round aircraft restoration activities. The facility was made possible by a $300,000 grant from The Emil Buehler Perpetual Trust, with additional support from a State of Florida Cultural Facilities and Historical Grant, and opened in April 2006. The Buehler Trust was established in 1984 to perpetuate the memory of Emil Buehler and his commitment to aviation science and technology. A German immigrant to the United States, Buehler was a pioneer in aeronautics as well as a designer of buildings. 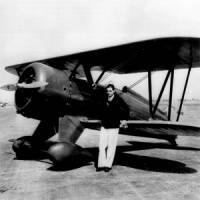 He was actively involved in many of the significant aviation events that took place in New Jersey in the late 1920s and early 1930s. 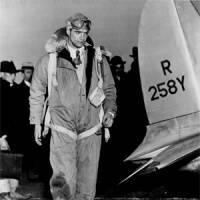 His involvement in aviation eventually included funding of a wind tunnel for testing space vehicles that became known as the Emil Buehler Mach 3 wind tunnel. 7/8-scale replica of a 1918 British SE5A fighter-scout biplane that now hangs in the Gene Strickland Terminal at Lakeland Linder Regional Airport. Current projects include restoration of the Iconic Sunshine Clipper and support in conversion of a Boeing 727 donated by FedEx into our Piedmont Aerospace Experience – an interactive classroom that will be available for use by the Aerospace Center for Excellence, Central Florida Aviation Academy, Traviss Career Center and Polk State student aviation programs. Aerospace Discovery at the Florida Air Museum is fortunate to have had many different examples of aircraft donated by individuals and organizations for display. 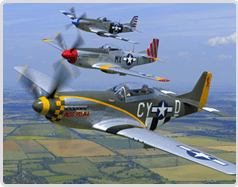 To date our collection includes a variety of homebuilt, experimental, aerobatic, commercial and military aircraft. The Aeropsace Attic is an Aviation Research Library, located on the 2nd floor of Aerospace Discovery at Florida Air Museum is a repository for all forms of aviation literature. These include magazines, books, manuals, micro film/fiche, videotapes, photographs, slides, art work and clip art. Current inventory includes approximately 5,600 books and manuals, close to 5,000 slides, in excess of 33,000 magazines and over 15,000 photographs. All of these materials are available to anyone who desires to spend some time with us at the Aerospace Attic Reseach Library. Reference materials cover many aircraft from A (the AAC model 90) to Z (the Zogling PH 1) and ranging in date from prior to WW I to the present. In addition, most aviation-related fields are covered in our ever-expanding collection; i.e. navigation, weather, shop practices, personalities, engines, etc. The aerospace attic is available for use by appointment only. For more information or to make arrangements to visit our aerospace attic, please call 863-644-2431. The Florida Aviation Hall of Fame is the brainchild of the late Jacksonville Chapter of the FAHS. 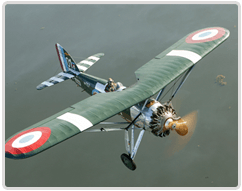 The Hall of Fame is under the direction of a Selection Committee of up to eleven members that are Aviation historians from throughout the State. Prior to their voting, a straw vote of aviation enthusiasts is conducted to give them voluntary non-binding guidance. The selection committee voting is then forwarded to the Hall of Fame at Aerospace Discovery at the Florida Aviation Museum. Each year successful candidates are installed in a ceremony held at the museum during the annual SUN ‘n FUN Fly-In. The 2015 inductees were announced to be Billy Henderson, Merian Cooper and Howard “Scrappy” Johnson. In June, 1986, the Florida Air Museum (then the SUN ‘n FUN Air Museum) took proud possession of more than 180 crates and boxes of Howard Hughes aviation memorabilia, including a 14-foot model of the Spruce Goose, Hughes’ leather flying suits, racing trophies, books, manuals, maps, scrapbooks, and personal memorabilia were included. The museum prevailed over such institutions as UCLA, Embry Riddle and the University of Southern California for the collection. The quest for the collection, which started in 1994, came to fruition in January, 1996, when Vernon Olson, Sr. Vice President of the Hughes Corporation paid his second visit to the Museum. Olson appreciated the fact that the Museum would make the collection accessible to the public. 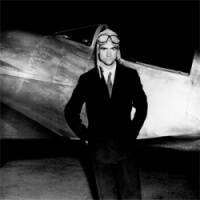 He also noted that Howard Hughes visited Florida many times and was enamored with the flying boats he found. 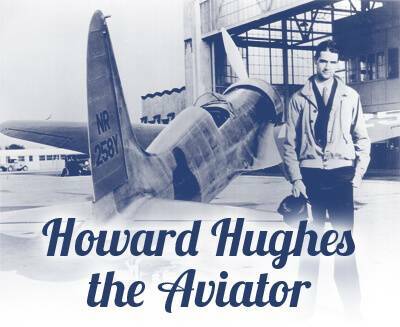 Hughes’ close associate, Al Lodwick, who helped plan his trip around the world in1938, had his base of operations in Lakeland and ran the Lodwick School of Aviation at Lodwick Field, now the site of Joker Marchant Stadium. The Hughes collection contains memorabilia from several facets of Hughes life including the 65 movies he directed or had a major role in producing. “Hell’s Angels” is probably the most famous of these, at least among aviators. Another phase of Hughes life and artifacts concern the four aircraft he built; the HK-1 nefariously called the “Spruce Goose”; the H-1 racer with which he set closed course and cross-country speed records; the D-2 bomber which, though aerodynamically advanced, failed to interest the military; and the XF-11 which crashed. During his recovery from injuries sustained in the crash Hughes was inspired to develop the modern, adjustable, hospital bed. Large wind tunnel models of all four aircraft are on display and contain additional wings and airfoil sections. A third facet of Hughes career was his around the world flight in 1938. The flight created media frenzy comparable to that of Charles Lindbergh’s flight and man’s first landing on the moon. Many items in the collection lend credence to this major world event. A fourth group of artifacts record many of the business details of Hughes’ life and includes samples of his personal notes, business dealings, and specific projects not universally known. Objects in this exhibit present Hughes as a designer, test pilot, movie producer and entrepreneur. Artifacts are on display to the public on a rotating basis, and the full archives are available upon request for research purposes by qualified scholars. The Museum is currently seeking much-needed funding for vital ongoing preservation and cataloging work in order to enhance this significant part of American history. Learn the history of aeronautical navigation and exactly where you can go on “one tank” in an airplane – the islands are closer than you think! Snyder Aircraft Corporation – Cross Country Kit including Aero Compass Protractor and Aero Flight Calculator manufactured by Aero Products Corporation, 1943. This exhibit is truly unique to Aerospace Discovery at Florida Air Museum and could not have been completed without our team of dedicated volunteers. The engines on display show the innovations (something new) that have occurred over the last 100 years. The Florida Air Museum’s Innovations in Propulsion exhibit starts with Bleriot’s flight across the English Channel with Anzani’s three cylinder radial engine in 1909 and ends with the Mach 5 hypersonic engine. The story of that fabulous growth in science, engineering, manufacturing and flight resides in the fifteen engines displayed here. Many of these engines have unique stories on how they came to be in our collection with one having been found in a salvage yard and another found and driven over 1,000 miles from Wisconsin to Florida while on vacation. Some have even been restored with the assistance of student volunteers. Aerospace Discovery at Florida Air Museum is proud to house such a unique and educational display. You will not find such a diverse collection of engines under one roof at any other location. Have you ever wondered what it was like to fly at Kitty Hawk like the Wright Brothers, or perhaps how Lindbergh crossed the Atlantic? Encounter letters, objects and photographs unique to these experiences as well as trophies from Florida’s own pioneer legend, Pete Sones. Become a pioneer yourself as you complete the checklist and take control of our King Air Twin Simulator. Lindy: The New Flying Game, published in 1927 by Parker Brothers, Inc. A game inspired by Lindbergh’s flight to Paris. Game play simulates a race between aviators and the object is to be the first to score 3200 miles. 60th Anniversary commemorative stamp collection of the Lindbergh Flight, encased in a shadow box. Stamps included are from the Maldives, Togo, Dijoubuti, Liberia, Nicaragua and Grenada. Portrait of Amelia Earhart signed by her and dedicated to David Layman. The Golden Age of Air Racing, Howie Keefe and his P-51 Miss America and air show legend, Bob Hoover are all featured here. Take your turn and experience the thrill of an air race first hand in our four person air racing station! Eagle Scout Badge earned by Howie Keefe in 1936 with Troop #22 in Glencoe, Illinois. An inquiry based exhibition where children and adults can manipulate objects and test their knowledge to develop a better understanding on how air and space craft fly. A coloring station is also available in this area for our smallest pilots! Can you survive in space? How do you make an electrical circuit? What is the difference between fixed and a variable pitch propeller? What is the difference between YAW, PITCH and ROLL? How do you calculate fuel, passengers and baggage to balance an aircraft? What are the components of a flight physical? How do you tell time across different time zones? Browse the information and discover how Florida went from Barnstormers to Boeing and the role specific individuals have played in developing our rich Aerospace Community. Our Florida Aerospace Timeline will allow you to interact with and study some of the events unique to aviation history in the state of Florida. 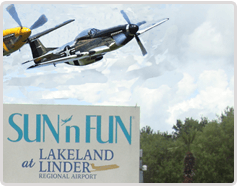 The exhibit space provides a wealth of information on airports in Florida, the history of commercial airlines in the state of Florida, and the presence of military aviation in Lakeland and the state. Find these facts and more as you browse the timeline! !